Rollbacks for sale, Wreckers for sale, and Trucks for sale. Center City specializes in new and used trucks and equipment. We have been in the business for over fifteen years. 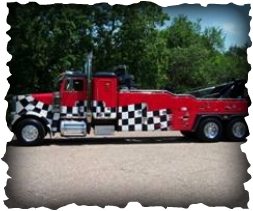 Our used trucks and equipment are in very good condition and usually have low mileage. If you do not see what you are looking for on our website, give us a call. If we don't have what you are looking for we can probably locate it for you. We have contacts all across the country. Let us do the work for you.